With the help of the right scale, you’ll find it’s much easier to keep track of your weight loss goals. Although they can be useful tools, scales can experience slight issues when they’re used on a regular basis, which may force you to need to reboot them. If you’re trying to figure out how to reset Weight Watchers scale, the steps are relatively simple. In this guide, we will help you to learn about all of the useful features that are typically included in Weight Watchers Scales along with important troubleshooting tips so you can have the easiest time keeping track of your weight goals. There’s no point to owning a scale that forces you to bend over in order to read your measurements which is why the majority of scale designs offer easy to read displays. Typically, they will be larger than two inches in width and have some type of backlighting to help make the numbers easier to read in darker rooms. Depending on the type of scale you purchase, you may find that the easy to read displays also display other measurements aside from your weight (for more information skip to “Multiple Measurements” section). Other scales may display these extra measurements on a smartphone app. Regardless, you’ll find that in order to improve the user-friendly nature of the scale you choose, it’s easy to read display will be one of the best features you’ll appreciate. There’s a high probability you’ll be weighing yourself on a daily basis, if not more than once per day. This can use up a lot of battery life and, depending on the brand of scale you choose, batteries could be relatively expensive. In plenty of scales, especially Weight Watchers scales, you’ll have the ability to take advantage of long-life lithium batteries that are designed to give you years of use out of a single battery. The majority of scales have a specific weight threshold, such as up to 400 LB. However, although they are designed to handle certain heaviness, it’s also important that they are constructed using tempered safety glass. This particular type of glass is designed to prevent cracking and breaking after regular use. You’ll also find that tempered glass is perfect for preventing the appearance of scratches and damage. Losing weight can be a family effort or something that couples do to achieve their ideal body shape. With that being said, there’s no need to invest in two or multiple different scales in order to keep track of every single person’s weight loss. The majority of modern scales offer multiple user memory, which is designed to keep track of each person’s weight. This feature is particularly important for families that are using smartphone and tablet apps to keep track of their weight loss. Gone are the days when people simply want to keep track of their weight, especially if you’re the type of person that is interested in becoming healthier rather than simply shedding pounds. Getting the most information about your body and how it is improving or deteriorating is going to help you to customize your eating habits and exercise techniques. As one of the main reasons as to why scale manufacturers now offer multiple measurements aside from your general body weight, it can be useful to know your BMI, skeletal mass, water weight, etc. It’s much simpler to lose weight when you’re able to visually see your progress, especially with the help of weight loss apps. Whether you’re tracking how your body is responding to a new diet or if you’re trying to figure out if you’re bulking enough muscle on a regular basis, apps can help. You’ll be able to review your progress over the years, and your chosen scale might work to make it even easier. The majority of modern scales, specifically WiFi adaptable scales, are compatible with weight loss apps to where they automatically record your measurements to the application after you’ve weighed yourself. There’s no need to worry about manually inputting data, as it will all be recorded within seconds of stepping on your scale. As with any other type of technology, there are bound to be several things you might have to deal with in order to keep your scale in working condition. Although these units are typically designed to last years, understanding some troubleshooting tips will help you learn more about how your scale works as well as help you to know when it can be repaired or when it should be replaced. If you’re beginning to notice that your scale is off by several pounds when you weigh yourself, it could either be as a result of a faulty weighing mechanism, a fluctuation in physical traits, or because you need to understand how to reset it, for example learning how to reset Weight Watchers scale. The majority of scales that you purchase should come with a user manual, but in the off chance that yours doesn’t, or you threw the manual away, it’s recommended for you to contact their customer service number or do a little bit of online research. In the majority of circumstances, you should easily be able to reset your scale either through your smartphone app or by removing the batteries in the back of the unit. Another common issue that many people experience with WiFi compatible scales is that they have trouble when syncing with a weight loss app. In most cases, this isn’t because of a faulty scale, but that you need to look into the software of both the app and the scale. As with many advancements in technology, software is necessary to make things work the way they’re supposed to. If the software is outdated, you’re going to find that the item will have issues with working properly. In the event that your scale isn’t syncing your measurements like it once was, ensure that your software has been updated and then retry weighing yourself a second time. There are plenty of reasons as to why your scale might be showing you error codes every time you pull it out to use it. The problem is that it may be a more severe issue leading you to purchase a new scale or something as simple as a lack of power. Much like when you’re trying to figure out how to reset Weight Watchers scale, you may need to turn to your user manual or customer service to figure out what the error code means and how it can be resolved. You may also want to ensure that there isn’t any dirt or debris stuck between the tempered glass top and the weight sensors on your scale. This can lead to the scale offering inaccurate measurements and getting “confused,” forcing it to throw an error code. Another idea for remedying a scale that is showing an error code is to make sure that your batteries aren’t dead. Although you would assume that a scale wouldn’t work at all if it has dead batteries, it keeps a little bit of power in its reserves to alert you to the fact that it needs new batteries. If these three troubleshooting tips don’t help, you may be in a position to where you’ll need to invest in a new scale. If the weighing mechanisms have been severely damaged from a fall or improper use repairing the scale is going to cost you more than if you were to buy a brand new one. 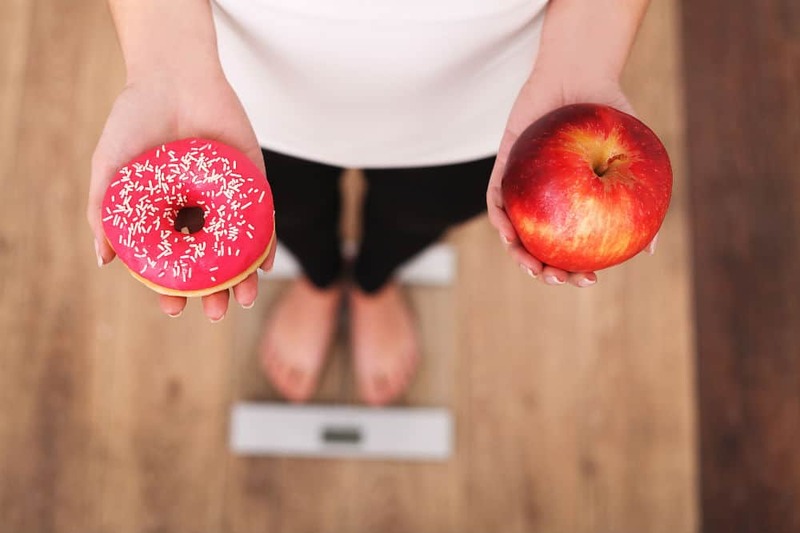 It’s relatively easy to understand how you can reset your scale, especially if you’ve had to deal with this issue with other scales in the past. The main premise behind any manufacturer developing a product is to ensure that their customers can easily resolve any issues. There are a few different guides that you can use to figure out how to reset your scale. By following one or more of the below steps, you’ll easily be able to learn how to reset Weight Watchers scale so you can get back to tracking your weight loss progress. After completing step five, your scale should be working accurately, and you can begin weighing yourself regularly. In the event that none of the above guides seem to provide any relief to your scale, it is important that you immediately contact the customer service department of the brand you have purchased. You would be surprised to learn that the majority of companies offer warranties beyond the one-year manufacturer’s warranty. If your scale is still covered under warranty, the company will typically replace the scale for you free of charge. Otherwise, they will recommend a repair location in your immediate area where you can bring the scale to have it repaired free of charge. Some circumstances may fall outside of the warranty spectrum, and at this point, you’ll find that you’ll need to purchase a brand new scale. At times, this can be the better option, especially if you’ve owned the scale for numerous years and are looking for something that either has more features or a different aesthetic design. Learning how to reset Weight Watchers scale is simple, especially with the help of a walkthrough guide. It’s important to understand the features of your scale in order to successfully diagnose the issue so that you can either choose between resetting it or venturing out and purchasing a brand new one.